Where are you sitting today? In a place of agony or in a place of excellence? Don’t get me wrong – I am not referring to an academic definition of excellence I mean the excellence and beauty that YOU bring. Why does it matter if you express your excellence or not? When you express your excellence you embody the archetype of the healer (or simply call it human, lover, friend). Of course lovers, healers and friends are not all day nice and give hugs – true friends speak up, show up and use their power in a right way. 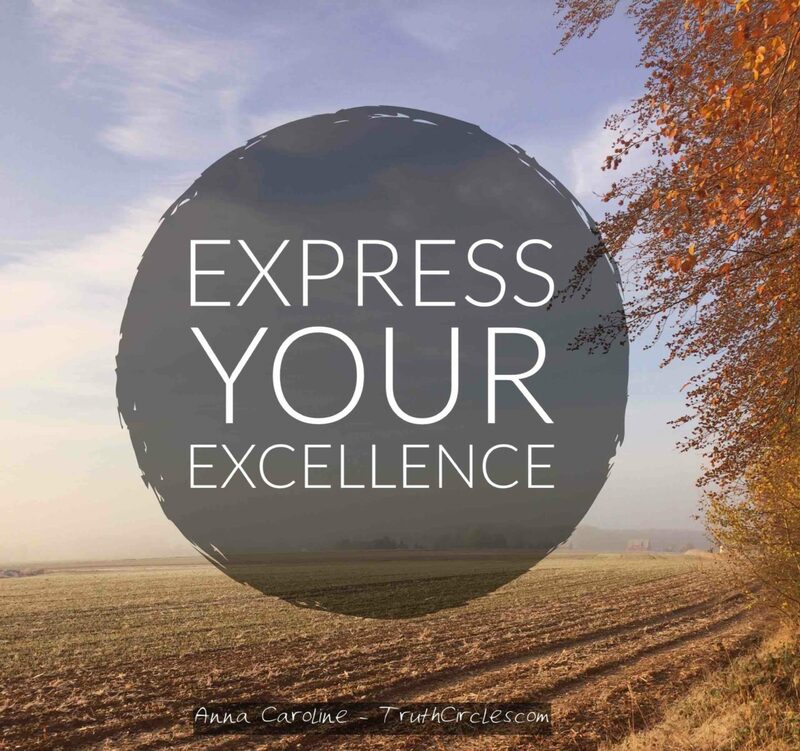 If you doubt that you can express your excellence or feel alienated by the term, I encourage you to dig deeper, lift your heart, and reconnect with your innate excellence. It’s not a snobby or arrogant excellence, it’s a spacious excellence, a purpose-centered excellence, a heartfelt excellence. Listen to my TruthCircle Podcast where I share why it’s so crucial to take the time to cultivate your healing capacity and express your excellence.